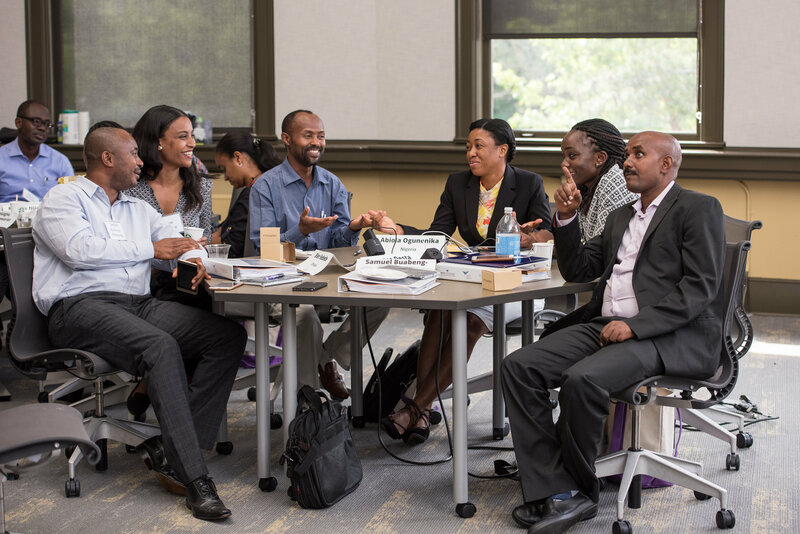 When Associate Professor Scott Fritzen was asked to help craft and teach a long-distance program for mid-career African health professionals at the Evans School of Public Policy & Governance, he jumped at the opportunity to improve public health in Africa through executive education. A well-crafted program — with the bulk of the work conducted via live online classes — would need innovative and easy to use e-learning tools to succeed, he thought. “We were seeking to build a tightly-knit community of health experts from a half dozen African countries — like-minded colleagues who would continue to work together to improve health outcomes throughout Africa long after classes ended,” Fritzen said. Health professionals from six African countries participated in a pilot long-distance learning program at the Evans School. So they partnered with online teaching experts at the Office of the Provost, and together they crafted a program backed by easy-to-use technologies that were quickly adopted by the participants and Evans faculty in the first International Program in Public Health Leadership held last fall. The strategy worked better than expected, with the online tools playing a key role in helping the first cohort build skills as well as professional and personal relationships. Financed by the Bill & Melinda Gates Foundation, the program focused heavily on individual coaching and mentoring, online and at the Seattle campus, with the goal of developing leadership, problem-solving and negotiation skills. Group discussions came easily when the fellows arrived in Seattle because they got to know each other online. The pilot’s success has attracted attention from other UW departments that are interested in enhancing the online teaching and learning experience for the general student population — not just for professional continuing education. The Evans School is building on its success, applying lessons it learned from the fist program to its second, which started in the spring. Last year, the Evans School asked UW-IT’s Learning Technologies, now part of Academic and Student Affairs in the Office of the Provost, to work with them to build the new program from scratch. Learning Technologies has been focused on refining the online teaching and learning experience, and its staff understood the ins and outs of various technologies and how best to apply them according to circumstances. McKee’s group recommended Canvas, the University’s learning management system. “Canvas is very powerful and there are some very interesting things you can do with it,” McKee said. “So, with their input, we built a system around Canvas with UW-IT-sponsored tools” — including Zoom for live video collaboration, and Slack for instant messaging online. “In a way, we were using technology creatively to stretch the experience and create a space so our program participants could interact over a longer period of time,” Fritzen said. 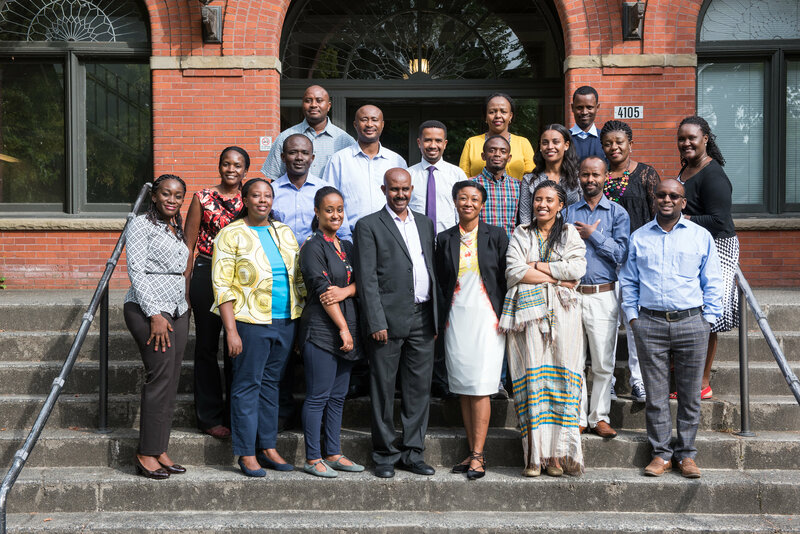 The fellows — who were located in Nigeria, Ethiopia, Ghana, Kenya, Tanzania, and Uganda — relied heavily on the tools, and the apps allowed Fritzen and as many as 10 other faculty members who participated in the program to communicate during online classes and outside the virtual classroom. “We chose a multipronged approach, using Slack for small-group discussions and for one-on-one conversations. And we used the Zoom tool during the twice-weekly online classes. Zoom also allowed us to break into small discussion groups, which gave us a lot of flexibility on how best to present course material,” Fritzen said. Faculty also used Canvas and Panopto for recorded lectures and to present case studies. The fellows didn’t have any experience with the tools either, but they quickly caught on. Several of the participants lived in countries without the robust communications networks found elsewhere, so choosing tools that didn’t need a lot of bandwidth was key. 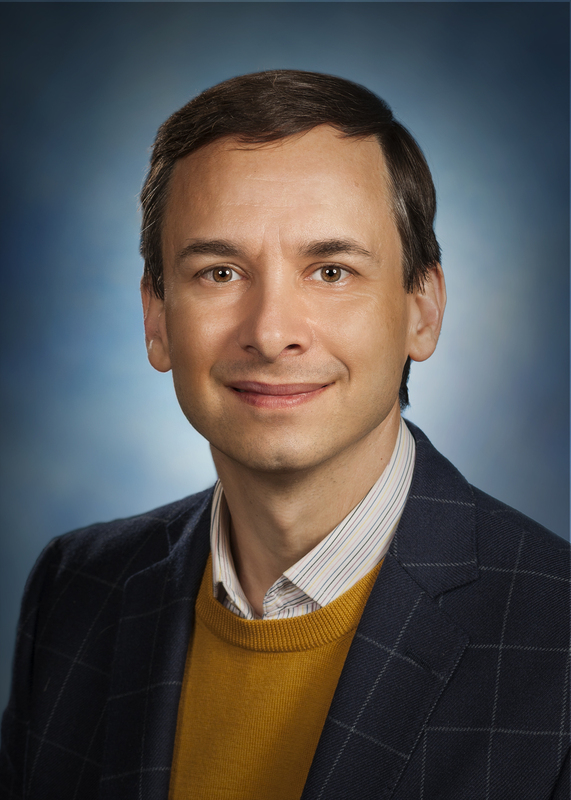 All that technology had a purpose, Fritzen said: improving the learning experience in a short-duration executive program that allowed students to learn from one another, bringing a great deal of value to participants. “A big part of our mission is to help improve the quality of government, add value and fulfill our educational mission to train a new generation of dedicated public sector professionals,” Fritzen said. “We often do that with executive education, but it has certain limitations. We can’t reach everyone, it is expensive, and it is hard for those professionals who do participate to build relationships with others in their field, because classes are short and quite intensive. Sometimes, the temptation is to throw the latest and most innovative tool at a problem, but Fritzen said that’s not the best approach. Because the University already has Canvas, a robust system that works with multiple apps, The Evans School chose simple tools that could be coupled with Canvas. The tools are easy to download, and easy for students and faculty to use, without spending too much time on training. Connecting the fellows across several timelines with their instructors at the UW campus was a challenge. For the second cohort, Fritzen planned on using the first online session with the new group to troubleshooting technology and get everyone acquainted with the different tools. The program also is providing “concierge-level” IT support for all participants to improve their experience. That means one-on-one training as needed. “You have to be ready to take a deep breath and roll with the punches,” Fritzen said. As many as 10 faculty members interacted with the fellows during the program, and its success has led to a lot of discussions on how to best use technology inside and outside the classroom — and to a wider acceptance of the tools within the Evans School. For Fritzen, Zoom is becoming a must-have technology. “We use Zoom for some faculty meetings at the Evans School, recording the sessions for those who can’t make it. Overall, this experience has made us more open to try new things. “Students want to use technology, but we need to understand how best to harness it so we can improve the student experience,” Fritzen said. Read UW-IT’s story on how the program came together. See how Zoom, Slack and Canvas can help you bring the best in your students. Contact Academic & Student Affairs, which helps faculty create a leading-edge learning experience.